With Lollipop, Google did something that developers had wanted for a while: a dev preview of the upcoming Android build. With the M release, it made that even better with OTA updates for the first time...but that hasn't gone quite as smoothly as we'd hoped it would. The original plan was to release one build per month until the final release. New builds were scheduled to show up at the end of May, June, and July, with the final build in "Q3." That's cool, except the M 2 build was fairly late; it didn't actually hit till the second week of July. Along those same lines, Google has announced that dev preview 3 will also be late, missing the "end of July" deadline that it set for itself back when M was initially announced. According to Android Developer Advocate Wojtek Kaliciński, this is expected to be "a near-final release," so they want it to be as close to the real deal as possible. If the M 2 build was any indicator of what we're looking at here, it'll likely be a couple of weeks before it starts hitting preview devices. 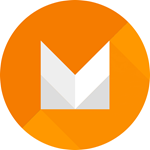 Once available, it will officially be announced in the Android M Developer Preview Google+ Community, as well as on the Android Developers page. Oh, and of course we'll let you know, too.